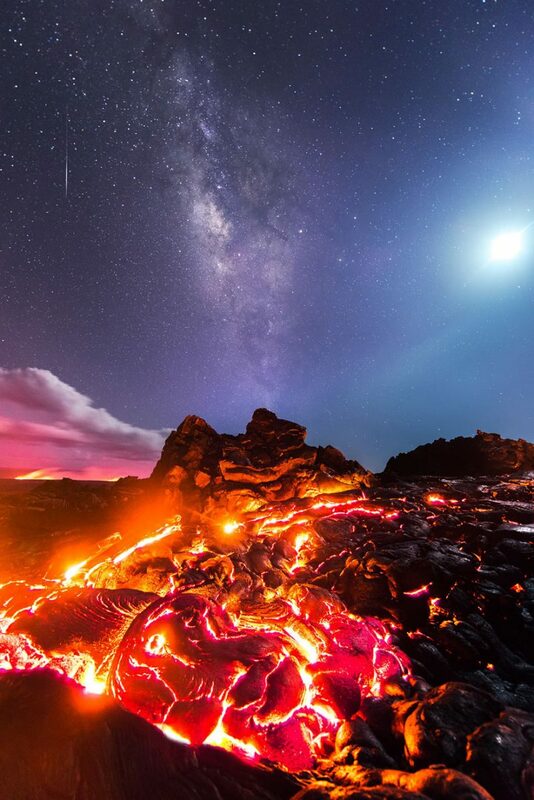 Mike Mezeul II, an American adventure photographer and photography geek, used a Nikon D810 body and Nikkor 14-24mm lens to capture this amazing picture at ISO 2500, f/2.8, and 25 seconds, the Moon, the Milky Way, a meteor, and blazing magma all in one photo. “I was literally in shock. 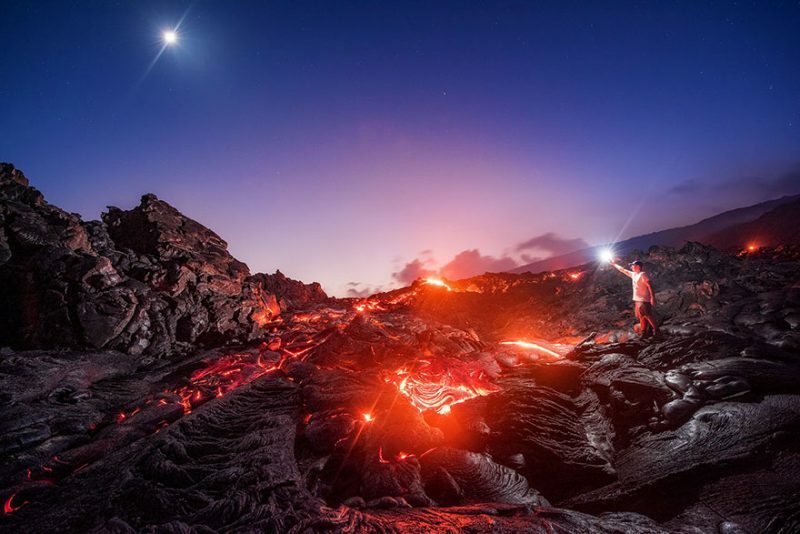 It was my third frame to shoot after the sun had set, and after I saw the meteor, I knew I couldn’t beat that image, so I packed it up and headed back.” The daring and lucky photographer told The Huffington Post. Mike Mezeul II hiked about 13 miles in Volcanoes National Park on the Big Island of Hawaii and had only a few seconds to shoot for high temperature.